What do I need to use a is a shared-use kitchen? 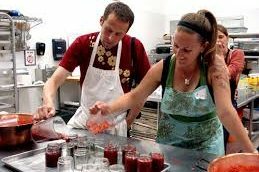 A shared-use kitchen is a specialty food production facility that includes all the necessary equipment and small wares to make your product. In our case, Genuine Local is permitted by the State of New Hampshire DHHS. A shared-use kitchen is available for use by approved/licensed users on an assigned schedule. Genuine Local is “purpose” built – the purpose being to provide a flexible and adaptable work space that will meet the needs of each individual Local Maker. A majority of work tables are mobile so you can configure the most efficient space for your production. Ingredients and packaging are all arranged to arrive “just in time” (no more than 2-3 days prior), paperwork is ready for you when you arrive and you’ll be ready to rock and roll upon arrival! 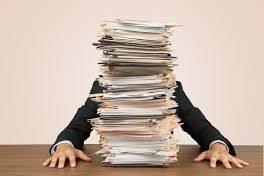 do i have to have an existing business? Sometimes coming up with the concept is the hardest part! Genuine Local is here to help you navigate your way through the whatever steps you need to take to either get up and running or learn to run faster! You will, however, have to register a business or trade name before you can apply for a food production license from the State of NH. what do i need to have in place before i can start? Before you can begin using the kitchen, you need to have read the Genuine Local Facility Use Handbook, completed the HAACP training, equipment training, signed off on the associated acknowledgement forms and exchanged certificates of insurance. You will also need to have the appropriate licenses in place (if necessary), received all appropriate approvals for your product (like a process review), paid your deposits, finalized your labeling and packaging needs, placed all necessary orders for ingredients and paid your deposits. Sounds like a lot – but it all falls into place as you walk through the process – really! What do I need before i apply for my food production license? Well, that depends on what type of product you want to make, but it all starts with that first visit to Genuine Local. 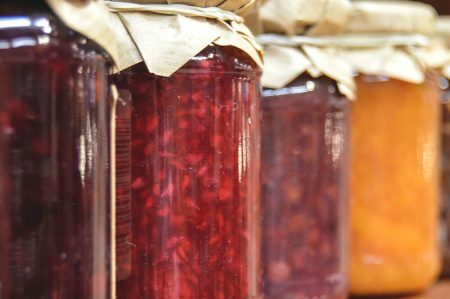 We can review the requirements for different types of food products and the associated approvals, labeling and licensing requirements. 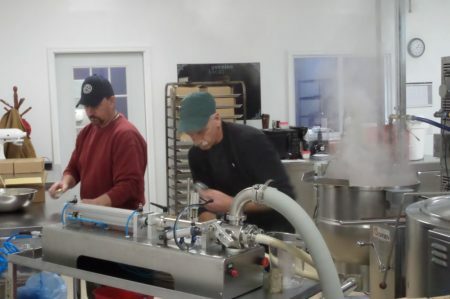 As a minimum, you will need to have your business registered, demonstrated food safety controls in how you make it, an FDA compliant label and some production facility specific paperwork that Genuine Local will provide to you. does genuine local offer any business development services? Yes! Genuine Local offers a range of business incubator services on an a la carte basis – designed to fit your individual needs as you establish and grow your business. Genuine Local can provide direct assistance with product development, recipe scaling, packaging and ingredient sourcing, label layout and pricing development. We are happy to connect you with assistance for graphic design, business or marketing planning, accounting needs, insurance or other business needs. After all the details are set – what can i expect the first time i use the kitchen? In order to finalize a reservation, a deposit will be required to hold the date along with a list of items that you want Genuine Local to provide for you. If you’re having ingredients or packaging delivered to the facility, that’s great – we just need to coordinate it in advance. The facility will be ready for you to immediately go to work, but all Local Makers add an hour to the front end of their reservation (at no additional charge) to complete any process, safety, equipment or other training that is necessary. As an added bonus, Genuine Local staff are always present to answer any questions (you can even hire one of them to help if you need an extra set of hands!). Basically – what you can expect is a positive, productive and always educational experience! OK – so what is all this extraordinary service going to cost? It is only $22.50 per hour to rent the kitchen – that includes access to any of the equipment available (and there’s a LOT of it – take a look at these videos!). But for that rate, you have to be prepared to share the space with other Local Makers. Genuine Local strives to never schedule Local Makers together that will be competing for the same equipment or whose production might in some way interfere with other activities in the kitchen. If, however, you request or your production requires use of the entire facility, the rental rate per hour is $30. Do you offer any “Package” deals? Yes! We are so grateful to all the generous individuals who have helped us along the way and contributed to the creation and on-going success of Genuine Local, that we created our Bootstraps Program. This is our way of paying it forward and hope that it helps you move your business forward, as well. The Bootstraps Program is an a la carte selection of $500 worth of services – excluding hard cost purchases like ingredients or packaging and kitchen rental – that you can select from as you need them. The list includes things like label layout, creating nutrition panels, assistance developing a pricing structure or obtaining a process review. The Bootstraps Program is available to all customers within 30 days of joining the Genuine Local community, and – ready for this? – it NEVER expires! That means you can use as much as you need now, save the balance for later! Oh, did we mention it only costs you $350? Contact Genuine Local for more information. What is small-batch contract manufacturing or “co-packing”? At Genuine Local we understand that sometimes, there just aren’t enough hours in the day to wear every hat. No one can sell your product better than, well, you! Genuine Local can work with you to produce a full “batch” of your delicious product according to your specifications and approved process, so you can spend more time growing your business.. What’s a “batch”? 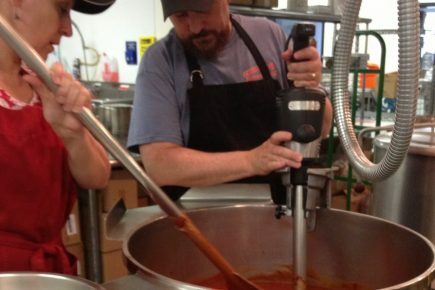 Typically it is one production run – so if you make a sauce that is hot packed, a batch will be between 20-75 cases of your sauce made in a single 40-gallon steam kettle, depending on the size of your containers. Yes, it might cost you a little more than doing it yourself, but think of all you can accomplish with the extra time you have while we are toiling away in the kitchen for you! Not to worry! Feel free to drop us a note or fill out the form below with your specific question(s) and we’ll do our best to either answer them or help you find the answers.